Pink to red flowering Kousa. 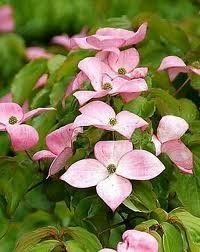 One of the few kousa red flowering dogwoods. Best color in cooler climates and light shade.